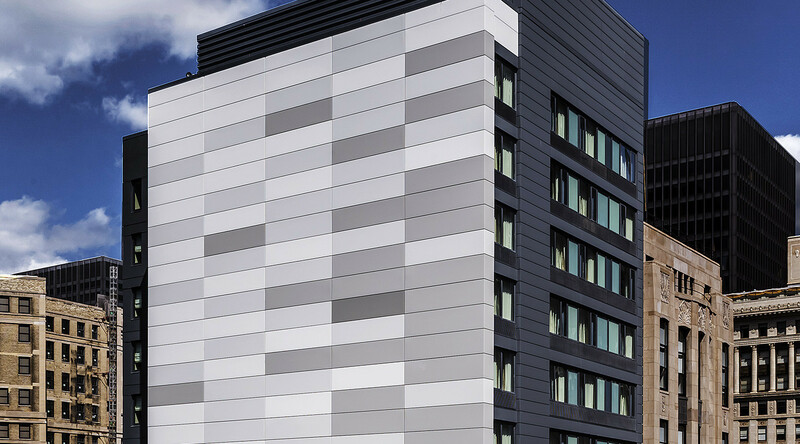 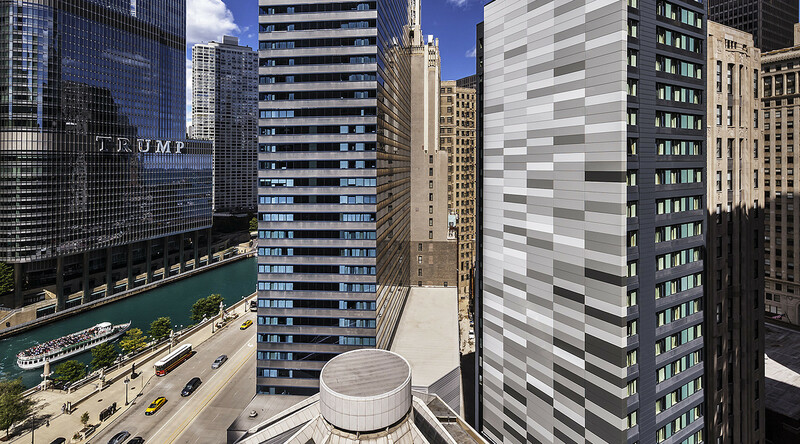 Prominently visible from the Chicago River, the new Hilton Garden Inn features a custom metal mosaic facade. 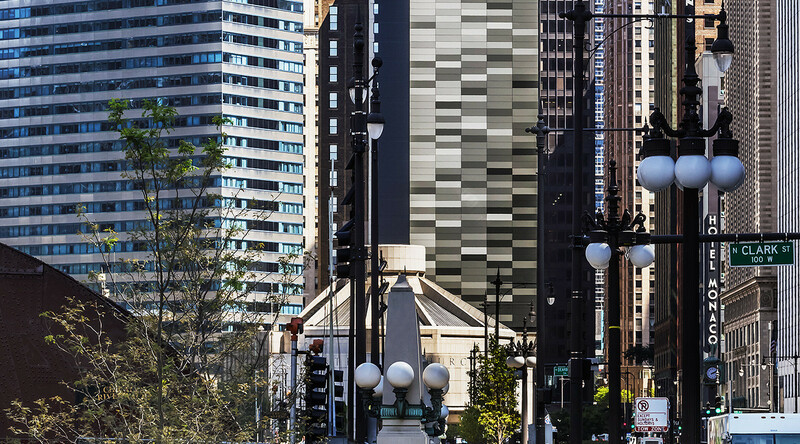 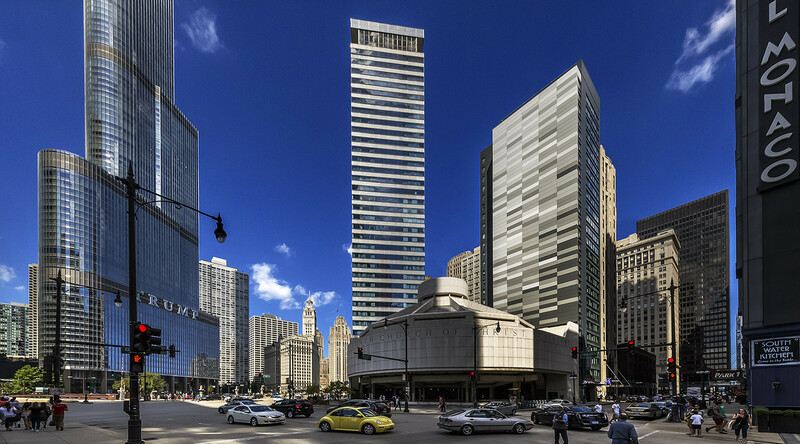 The 250-foot mosaic was inspired by the location of the building, just off the Chicago River view corridor in the city’s booming North Loop neighborhood. 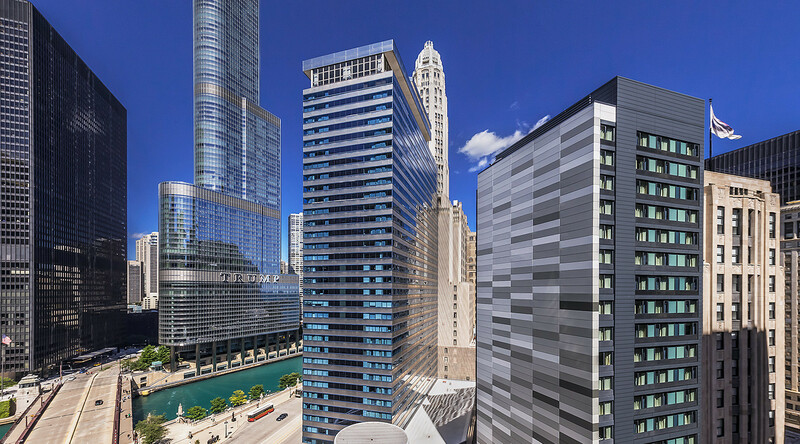 The design team created an image pixelization of sunlight reflecting off the river using CENTRIA's Formawall Dimension Series insulated metal panels.